Sydney is not a city suffering from a lack of things to do! Whether you like nature, shopping or soaking in a great and varied cosmopolitan street life Sydney has an option for you. People flock to Australia to sample the Australian life style, which continually gets ranked as the best quality of life in the world, and to enjoy the allures of a nation filled with other worldly animals and beautiful coastline and beaches. Of all the places in Australia, Sydney leads the way as the most visited. This blog will detail a few of the reasons why by discussing a few more things you can see and do in Sydney. Truly the most iconic image of Sydney, the Sydney Opera house has probably become more famous for its external facades than the Operas being performed inside. An otherworldly building the question has been asked in jest of whether the famous white roof more resembles a giant shell or a sail? Inside the opera house tours are available that show the different sized venues that are used for various classical and operatic performances. The essential tour, which lasts around 90 minutes, costs $35 dollar while a backstage tour costs $155. 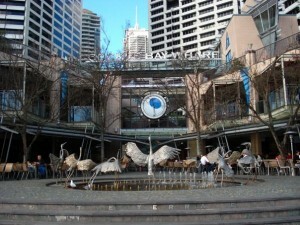 Be sure to also wander around the area near to the Opera House called Circular Quay. Circular Quay always has lots of street performances, human statues and interesting opportunities for people watching. Darling Harbour has evolved into an entertainment district of sorts for Sydney. Filled with varied options for things to do patrons to the area can enjoy the Habourside Shopping Centre, watch a film on the largest screen in the world at the LG IMAX theatre, or see the varied local and world sea life at the Sydney Aquarium. The area also has several museums and the city’s largest convention centre. 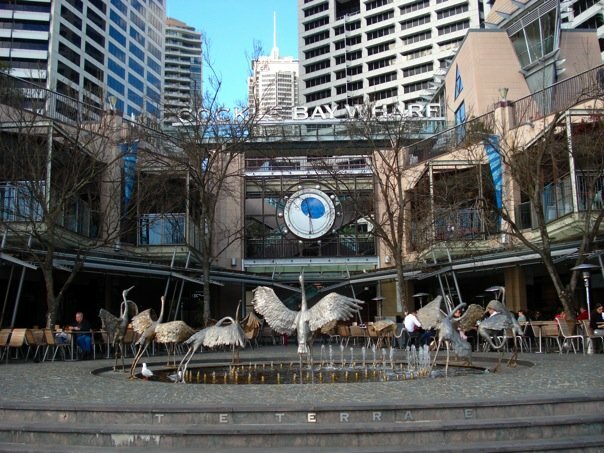 Family’s rate Darling Harbour as a great family friendly location because of the several options it has for family fun including a fantastic playground that kids the world over love to use. If these delights aren’t enough the collection of restaurants, bars and cafes is second to none. The most well known beach in Sydney is Bondi Beach. Despite its popularity, and the commercialism that followed that popularity, Bondi is still full of backpacking hostels and alternative and edgy bars, restaurants and cafes. Full of multi coloured buildings and complete with an awe inspiring view over Sydney Harbour a trip to Bondi is a must while in Sydney. In order to get there take a city rail train to Bondi Junction then hop on bus number 333 to the beach.